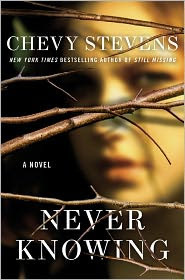 I just finished Never Knowing by Chevy Stevens. This is the author's second book. Although I LOVED it and recommend picking it up, it's not quite as good as her first novel, Still Missing. Read my review on that one here. Description: All her life, Sara Gallagher has wondered about her birth parents. 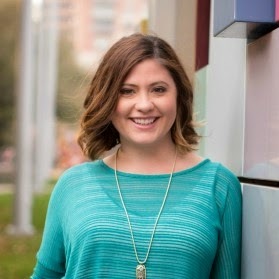 As an adopted child with two sisters who were born naturally to her parents, Sara did not have an ideal home life. The question of why she was given up for adoption has always haunted her. Finally, she is ready to take steps and to find closure. But some questions are better left unanswered. After months of research, Sara locates her birth mother---only to be met with horror and rejection. Then she discovers the devastating truth: Her mother was the only victim ever to escape a killer who has been hunting women every summer for decades. But Sara soon realizes the only thing worse than finding out about her father is him finding out about her. This book is similar in that instead of chapters, the authors tells the story in the main character's counseling sessions. I feel like the book is a cross between chick-lit and a suspense thriller. Lots of great twists, questions and action with a bit of love and girl drama. I couldn't put the book down especially during the last few "sessions" when I was counting down the minutes to lunchtime so I could finish it!